Christian joined the firm in 2010 as partner and heads the Employment and Social law department. He was formerly a counsel in a magic circle law firm in Luxembourg where he practised for almost 10 years. 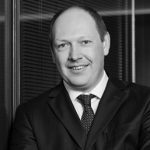 He is a well-known and respected practitioner in the Luxembourg market for employment and social law. Christian specialises in individual and collective terminations and advises on any aspect in relation to employment contracts. He gained significant experience in negotiating collective bargaining agreements and social plans. Christian also advises in relation to the incorporation, the transfer, the merger and the restructuring of companies. He is a lecturer in employment law at the House of Training and the “Chambre des Métiers” (Chamber of Trades).